Interested Job Aspirants who are ready to apply for Kerala Public Service Commission 2019 Notification must possess the below-given Eligibility Details. Selected candidates will get Rs. 19,000 ­43600/- (Post 1), Rs. 20,000 – ­45,800/- (Post 2), Rs. 22200 – 48000/- (Post 3,4,5,7,25,26), Rs. 10,480 – 18,300/- (Post 6), Rs. 26500 – 56700/- (Post 8), Rs. 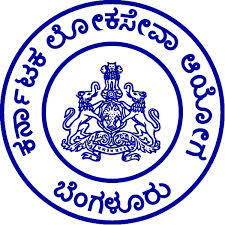 36,600 – 79,200/- (Post 9,10), Rs. 39,500-83,000/- (Post 11,12,13), Rs. 45800-89000/-(Post 14), Rs. 4000 – 6090/-(Post 16), Rs. 5230-8390/-(Post 17), Rs.2650 – 4150/-(Post 18), Rs. 7805 – 13815/-(Post 19), Rs. 11620-20240/-(Post 20), Rs. 7805 – ­13815/-(Post 21), Rs. 15600 – 39100/-with 5400 Grade Pay (Post 22,23), Rs. 20000-45800/-(Post 24), Rs. 25200 – 54000/-(Post 27), Rs. 30700-65400/-(Post 28), Rs. 36600-79200/- (Post 29) by the Recruiting Organization. First of all, Open Official Website i.e., keralapsc.gov.in.